A big, bad alien is threatening to kill half the people in the universe and he’s heading to Earth. But at least we have the Avengers to save us, right? That big, bad alien – a menacing creature named Thanos – already whipped Thor, Iron Man and Spider-Man. Unless our superheroes can get some backup, we’re doomed. Perhaps the Guardians of the Galaxy can help. If only we could find them. 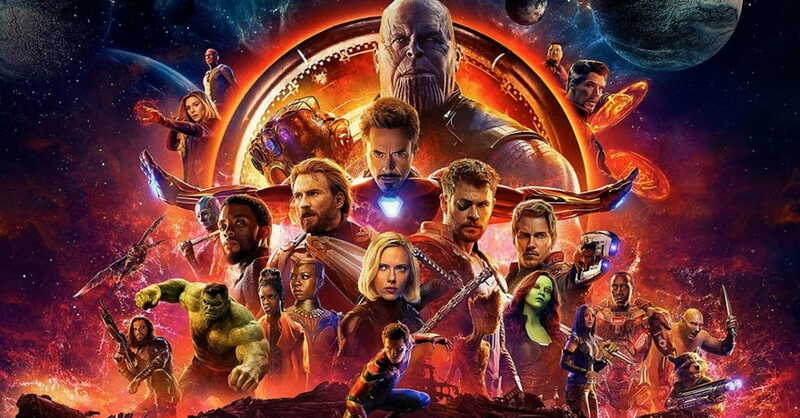 It’s all part of Marvel's Avengers: Infinity War, which set box office records on opening weekend and received an "A" grade from moviegoers in CinemaScore’s exit polling. It follows Thanos as he goes on a cosmic hunt to collect the universe's six Infinity Stones, which (we are told) were created from the Big Bang and give the possessor God-like powers. The ratings' board gave it a PG-13 label for "intense sequences of sci-fi violence and action throughout, language and some crude references." It's a well-deserved rating, but most parents – like me -- want more details before they spend money on tickets, popcorn and a soda. 1. It’s more violent than most Marvel films. Especially the PG-13 ones. There are at least three scenes involving torture, including one in the movie’s first 10 minutes. We also briefly see a mass genocide when the bad guys gun down a large group of people on another planet. A few characters get stabbed with knives or spears. Someone dies after getting pushed off a ledge. Of course, there’s plenty of punching, kicking and shooting, too. The movie ends with a huge battle. The body count in this Marvel movie is quite high. 2. It has an average amount of language. I counted about 25 coarse words: s—t (5), a—(5), he—(5), d—n (4) and ba—ard (1). There also are a few OMGs, a “pis-ed” and a “douchebag.” Star-Lord flips someone off, too. 3. Primary characters die. I won’t spoil it for you, but a few of the superheroes don’t live to the end. If your child might be troubled by watching his favorite characters get killed, you might want to skip it – or at least do a bit more research. 4. It has no bedroom scenes or sexuality. Unlike, say, Wonder Woman, which included an implied bedroom scene. Infinity War doesn't have that, but we do see couples kiss on three separate occasions. Additionally, the sexually charged jokes present in the first two Guardians of the Galaxy movies are mostly missing from Infinity War. 5. It’s long. As in, nearly two hours and 40 minutes. There also is a major end-of-credits scene that you’ll want to see. So, visit the restroom before you enter the theater. And go easy on the soda.